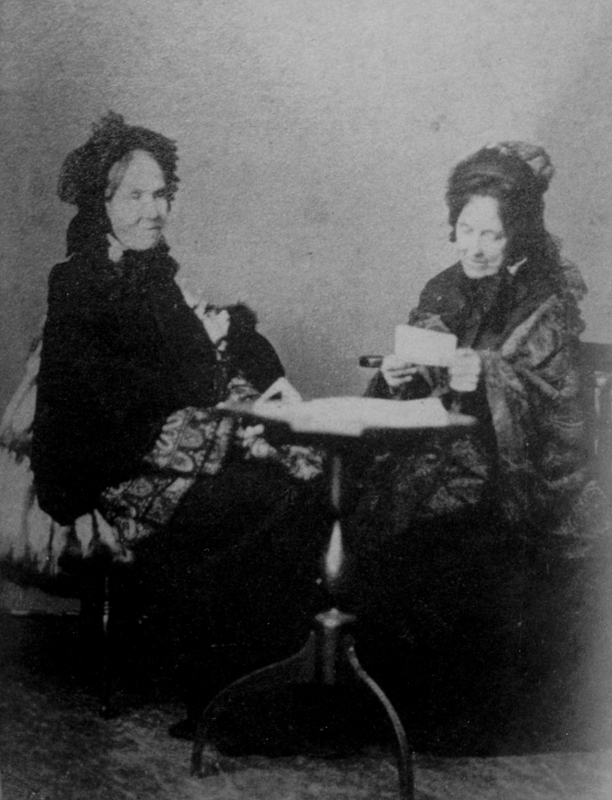 Abolitionists and suffragists Abigail (Abby) and Julia Smith of Glastonbury were best known for their fight against the town tax collector, George C. Andrews, in the 1870s. The sisters came to national attention when they refused to pay what they regarded as an unfair land assessment and, as a result, saw the tax collector seize seven of their Alderney cows. In the ensuing uproar, they became symbols of the struggle of the individual against government oppression and tyranny. Abby and Julia were two of five daughters born to noted intellectual scholars Zephaniah Hollister Smith and Hannah Hadassah Hickock. The couple emphasized the importance of learning, nonconformity, and imaginative thought to each of their children. Educated at Emma Willard’s Seminary in Troy, New York, Julia Smith was known to have kept a diary in both French and Latin. She also translated her own version of the Bible from original Greek, Hebrew, and Latin sources, which she published in 1876. Ardent supporters of the anti-slavery movement, the Smith sisters invited William Lloyd Garrison to give abolitionist speeches from a tree stump in their front yard when he was denied access to Hartford pulpits. The sisters also widely distributed the anti-slavery Charter Oak newspaper throughout Glastonbury. Their mother, who had authored one of the earliest anti-slavery petitions presented to Congress by John Quincy Adams, fully supported the sisters’ abolitionist beliefs. Once slavery had been abolished in the United States, the Smith sisters focused their attentions on women’s suffrage. Before they could concentrate much energy on that movement, however, Julia and Abby, at the ages of 81 and 76, found themselves waging a personal battle against sexual inequality after inheriting the single most valuable piece of property in Glastonbury—their home, known as Kimberly Mansion. The motto of our government is ‘proclaim liberty to all the inhabitants of the land,’ and here, where liberty is so highly extolled and glorified by every man in it, one-half of the inhabitants are not put under her laws, but are ruled over by the other half, who can take all they possess. How is liberty pleased with such worship? [. . . .] All we ask of the town is not to rule over them as they rule over us, but to be on an equality with them. The Smith sisters were decrying taxation without representation—which had been among the causes of the American Revolution a century earlier. The male voters of Glastonbury ignored Abby’s speech, so the sisters decided they would not pay taxes to the city until they gained equal representation in government. The Glastonbury tax collector responded by seizing seven of the sister’s cows for auction, four of which Abby and Julia willingly bought back. First to recognize the national importance of the sisters’ plight, the editor of The Republican, a newspaper published in Springfield, Massachusetts, wrote, “Abby Smith and her sister as truly stand for the American principle as did the citizens who ripped open the tea chests in Boston Harbor, or the farmers who leveled their muskets at Concord.” Without the sisters’ knowledge or permission, he reprinted Abby’s entire speech and set up a defense fund in her name. Soon, newspapers across the country began to reprint their story. A Harper’s Weekly author referred to Abby as “Samuel Adams redivivus.” Their cows became so famous that flowers made from their tail hair with ribbons reading “Taxation without Representation” were sold at a Chicago bazaar. Despite their fame, the sisters continued to suffer discrimination. 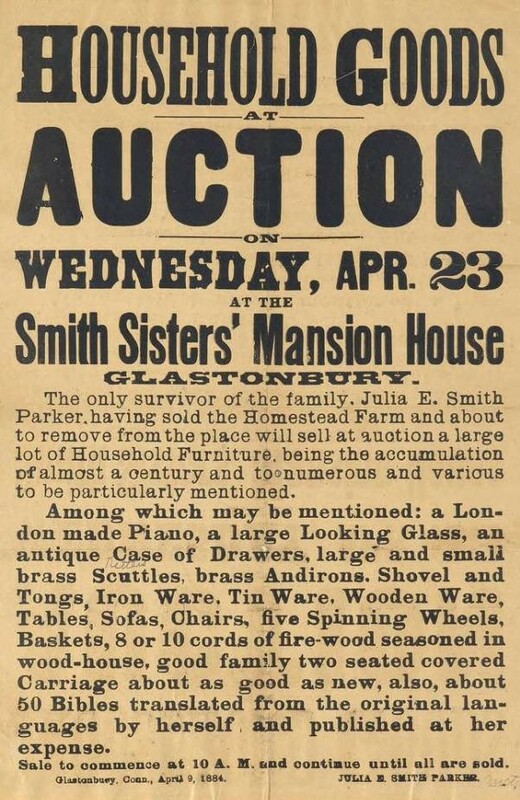 In 1874, the Glastonbury tax collector illegally seized 15 acres of the Smith sisters’ land to pay for back taxes and auctioned it to a neighbor for $78.35 before the sisters could get to the auction block. As a result of this action, the sisters now had legal grounds for a lawsuit. In June 1876, the Smith sisters won their lawsuit in a Hartford court. The story of Abby and Julia Smith and their cows garnered public interest in the civil rights of women. By associating their story with the Boston Tea Party and other Revolutionary War figures, they made themselves living martyrs to the cause of women’s suffrage and government corruption. Despite this, Abby and Julia Smith are some of the most neglected figures in the history of 19th-century feminism. Despite their antebellum reform efforts, such as abolitionism, it was not until their personal struggle with the Glastonbury tax collector that they gained notoriety. Through their own discrimination and notoriety, the sisters gained publicity for the greater women’s suffrage movement. Molly May is a graduate student working on her Masters of Art in History at Central Connecticut State University. “Digitized Newspaper - Charter Oak.” Connecticut State Library, 2017. Link. “The Smiths of Glastonbury.” Connecticut Women’s Hall of Fame, 2017. Link. Smith, Julia Evelina. Abby Smith and Her Cows: With a Report of the Law Case Decided Contrary to Law. Hartford, CT, 1877. Link. Housley, Kathleen L. The Letter Kills but the Spirit Gives Life: The Smiths-Abolitionists, Suffragists, Bible Translators. 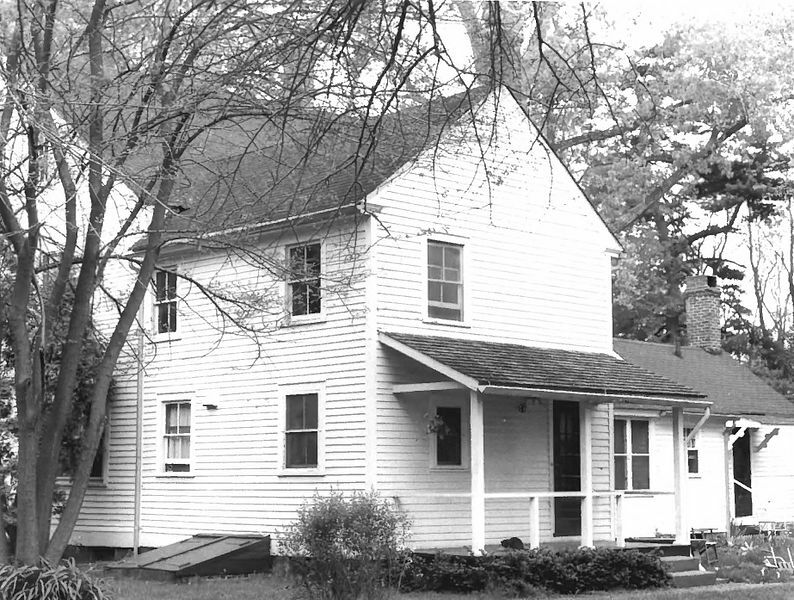 Glastonbury, CT: Historical Society of Glastonbury, 1993.